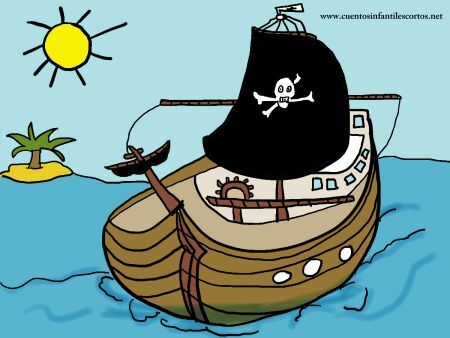 There was a pirate ship named “The Black Forest” that was sailed on the seas by only one pirate, Blackbeard. The whole world knew who Blackbeard was. It was said that the pirate would capture people and kill them on the high seas. One day all the people he had captured came home feeling sad instead of feeling happy to be free. “He is gone!” – they said. And the newcomers answered, “Nobody has never treated us as well as Blackbeard did. But now he is dead, that´s why we are sad”. From that day on, Blackbeard was known as the kindest and most generous pirate in the world. The moral of the Story: Appearances are deceptive, the pirate who looks like the most evil person in the world, is actually the kindest.